In addition to the City’s planned street improvements for Boones Ferry Road, there are a number of private redevelopment projects taking place in the Lake Grove area, namely the Springs and Mercantile developments. 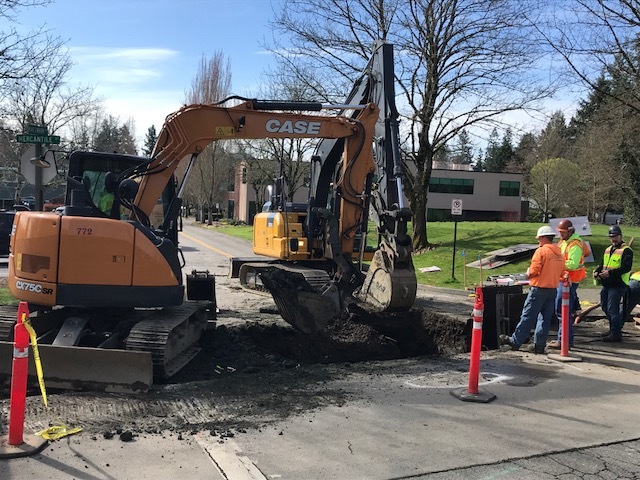 Crews have started installing a new water line along Mercantile Drive as part of the Mercantile private redevelopment project (corner of Kruse Way and Boones Ferry Road). Starting the week of April 8, crews will shift to night work on Boones Ferry Road between Mercantile Drive and Kruse Way. Work hours on Boones Ferry Road will be 9 P.M. – 5 A.M. Monday to Friday. During work hours, Boones Ferry Road will be closed at Kruse Way and traffic will be detoured around the construction zone, onto Mercantile Drive and Kruse Way Place. 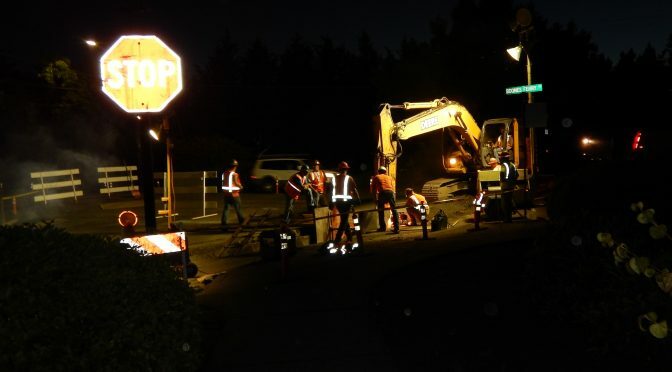 Night work is expected to take about three weeks to complete. Please watch for flaggers, follow signage and drive cautiously.